How to watch Fantastic 4: Rise of the Silver Surfer (2007) on Netflix Australia! Sorry, Fantastic 4: Rise of the Silver Surfer is not available on Australian Netflix, but you can unlock it right now in Australia and start watching! With a few simple steps you can change your Netflix region to a country like Germany and start watching German Netflix, which includes Fantastic 4: Rise of the Silver Surfer. We'll keep checking Netflix Australia for Fantastic 4: Rise of the Silver Surfer, and this page will be updated with any changes. 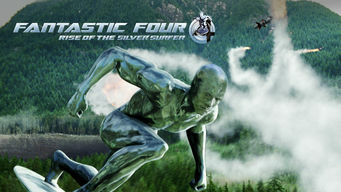 Fantastic 4: Rise of the Silver Surfer is not available in Australia BUT it can be unlocked and viewed! Fantastic Four superheroes Reed, Sue, Johnny and Ben battle the Silver Surfer, a villain who travels the earth preparing it for total destruction. He's a freak of nature, hanging ten to destroy Earth. With mutant superheroes riding his wave, it'll be a gnarly fight. There is a way to watch Fantastic 4: Rise of the Silver Surfer in Australia, even though it isn't currently available on Netflix locally. What you need is a system that lets you change your Netflix country. With a few simple steps you can be watching Fantastic 4: Rise of the Silver Surfer and thousands of other titles! Watch "Fantastic 4: Rise of the Silver Surfer"